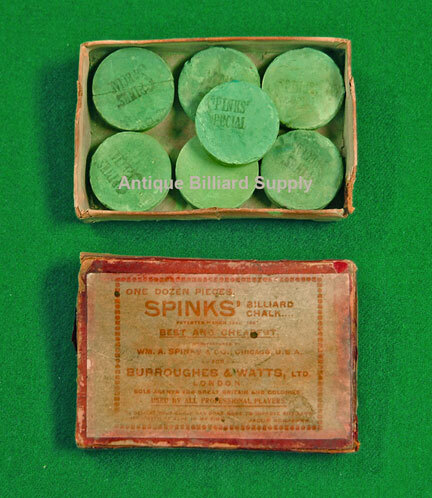 #10-08 Seldom seen rare style of wafer shaped chalk from the W. A. Spinks Company. Manufactured in the 1880s, still in the original box. Company name is stamped on each piece.